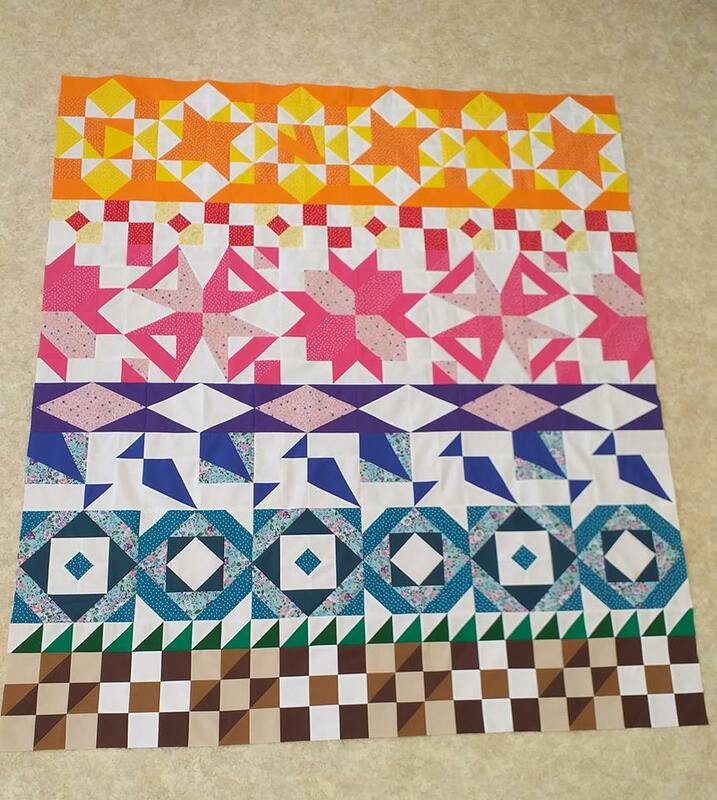 We're so close to the end! 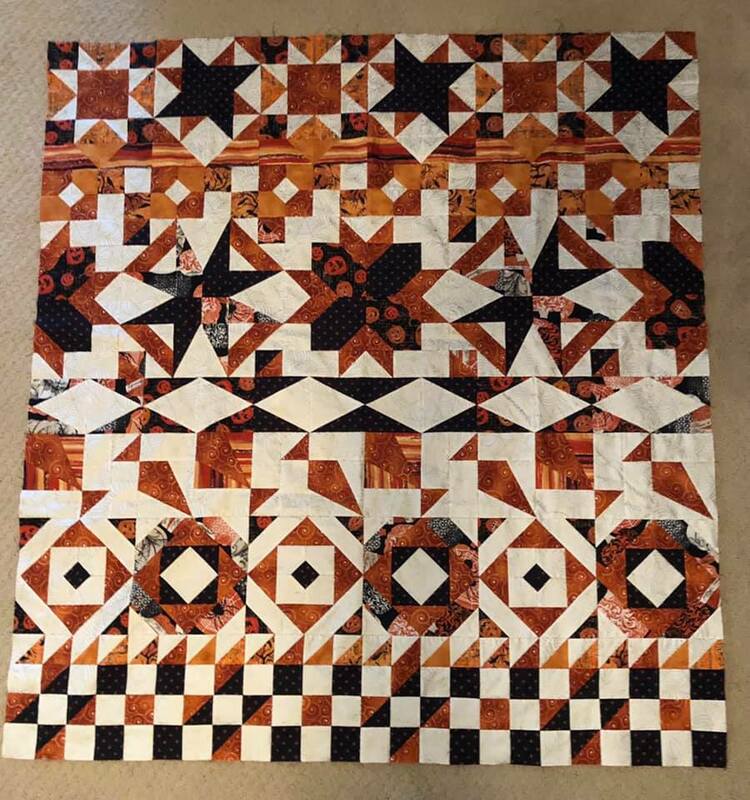 Just a few more blocks to go!! 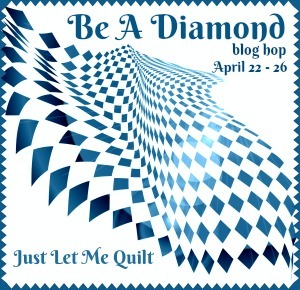 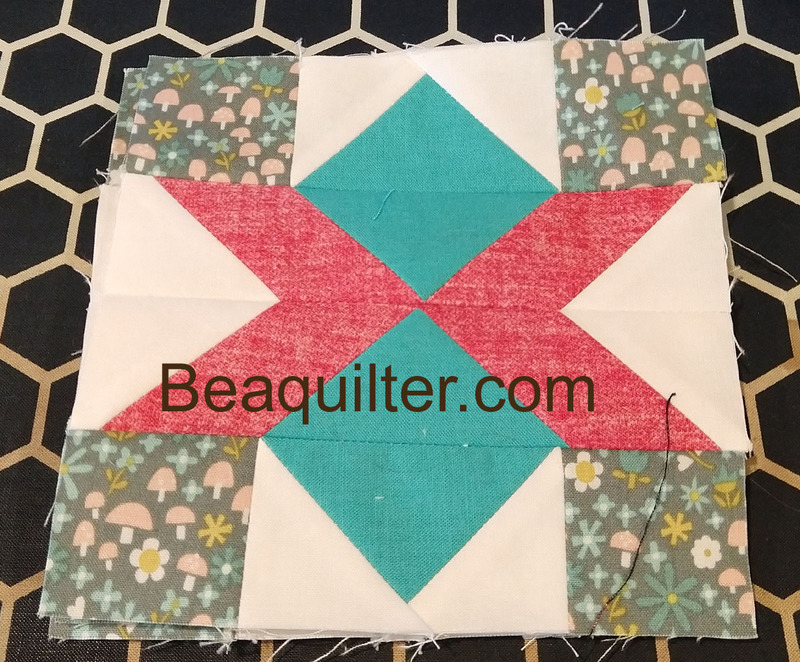 This week's block is kind of odd, it kind of looks like a bug or a lizard maybe? 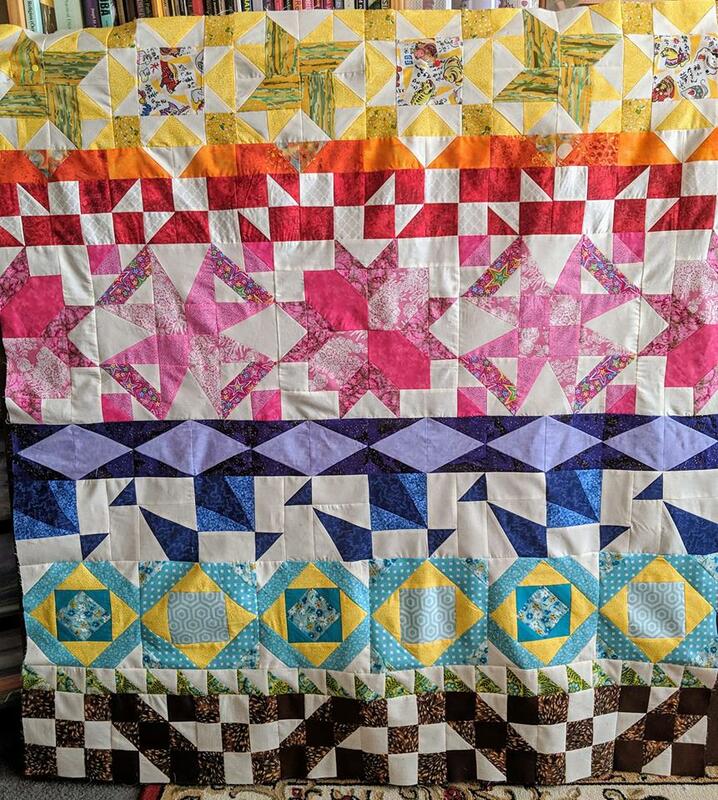 You'll be making 3 of these in GREY! 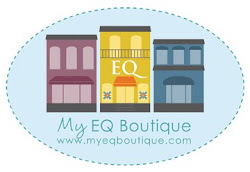 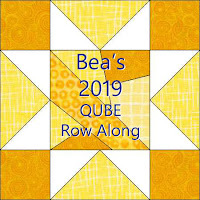 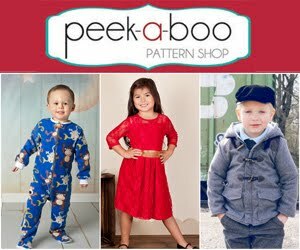 I am running low on fabrics for the 9" qube version, of course since I know what's next, I'm saving some for the "black" row. 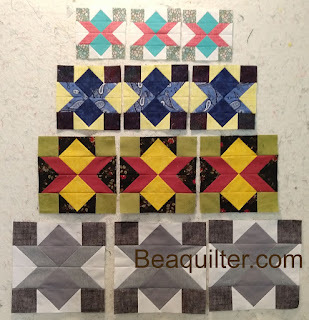 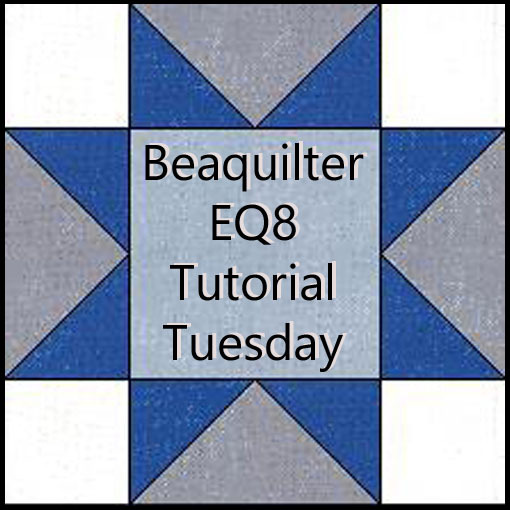 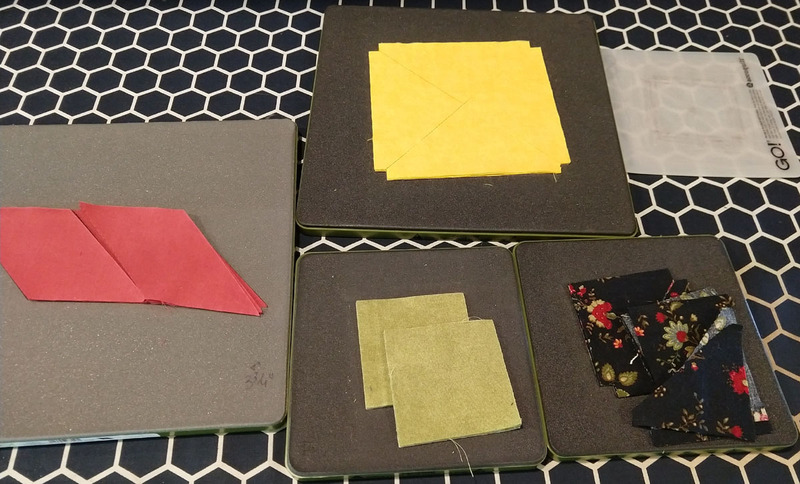 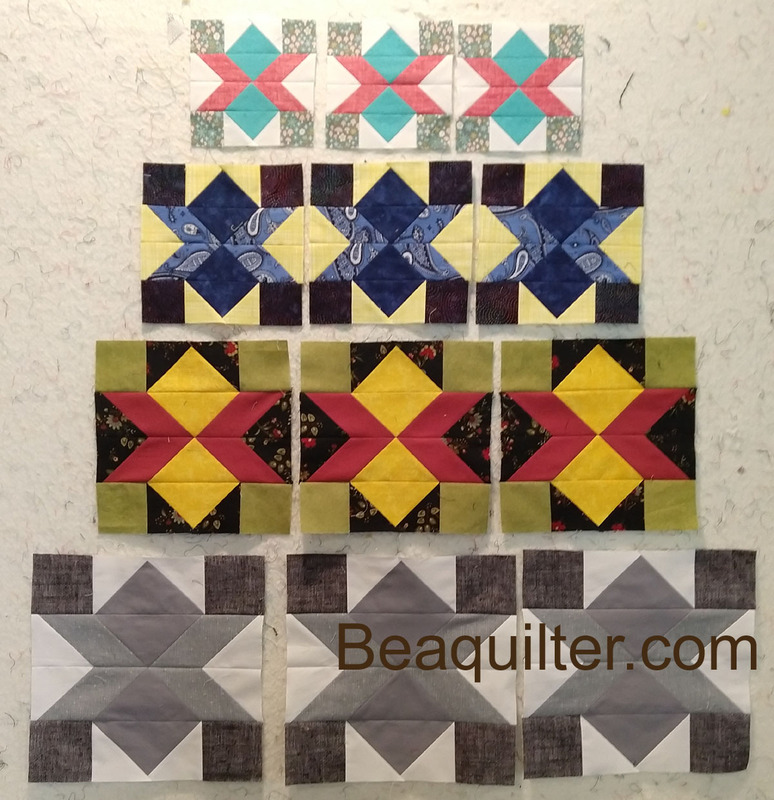 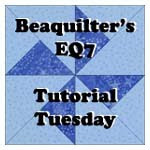 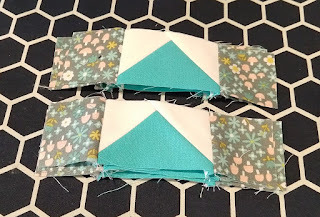 The first part to sew is to add the background small #5 triangles to sides of the #7 parallelograms. 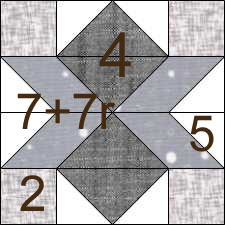 6 +6 reversed. 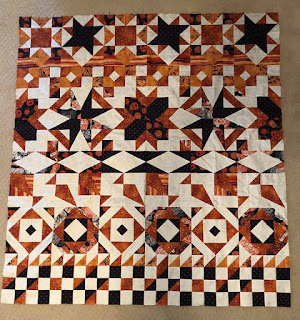 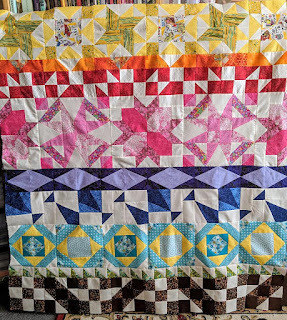 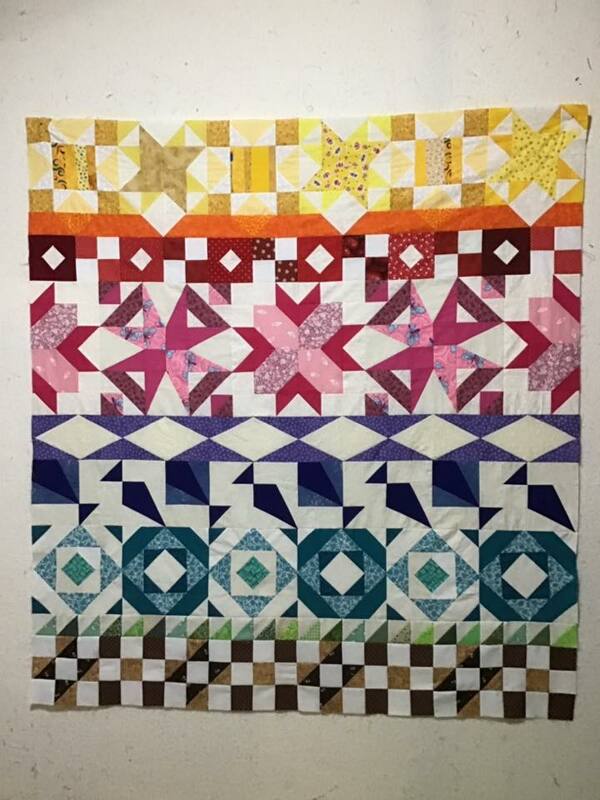 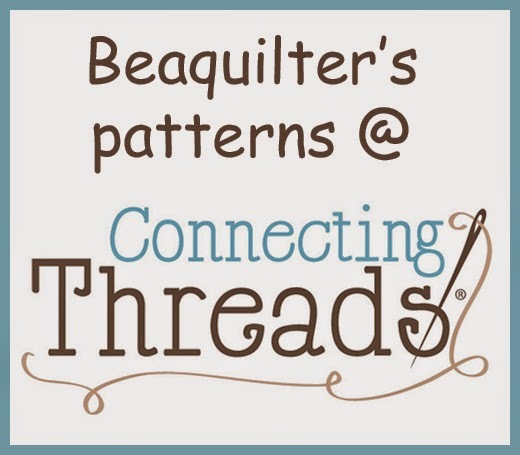 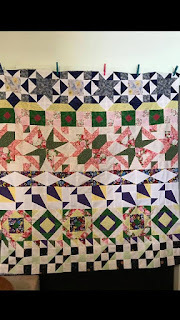 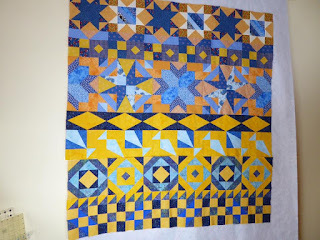 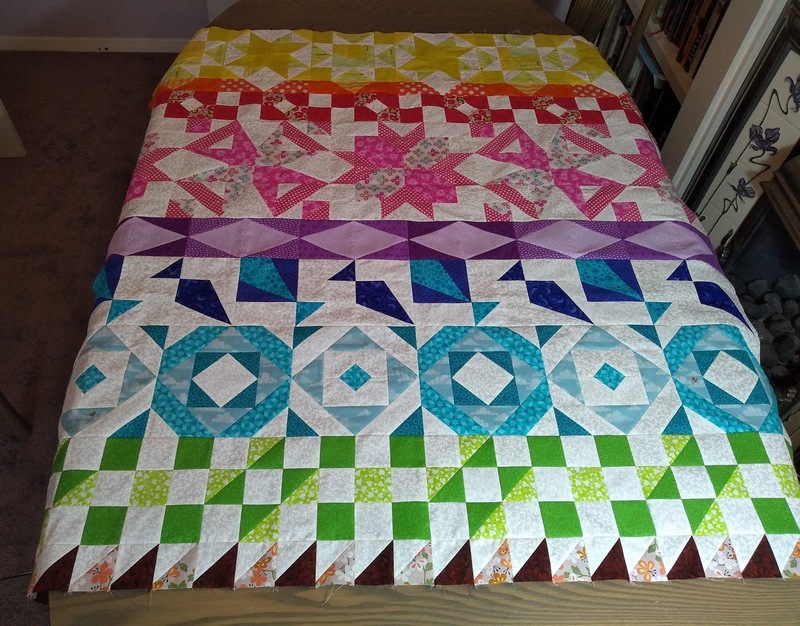 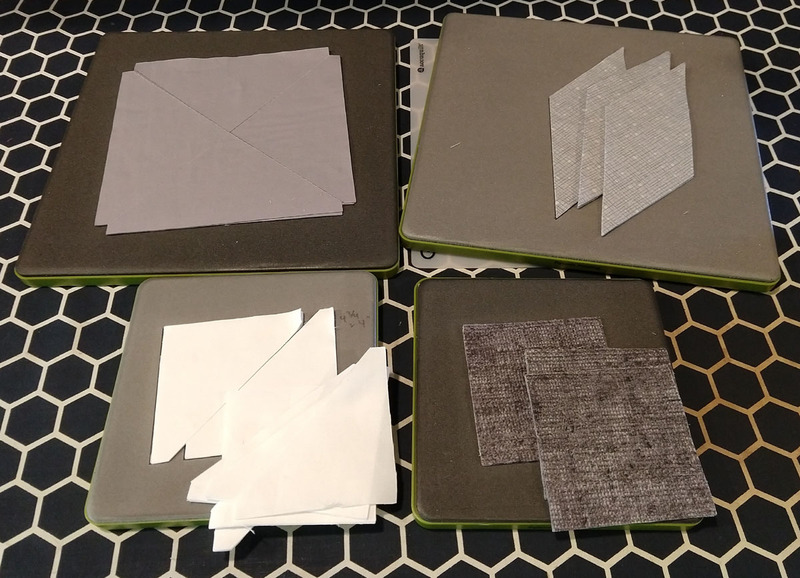 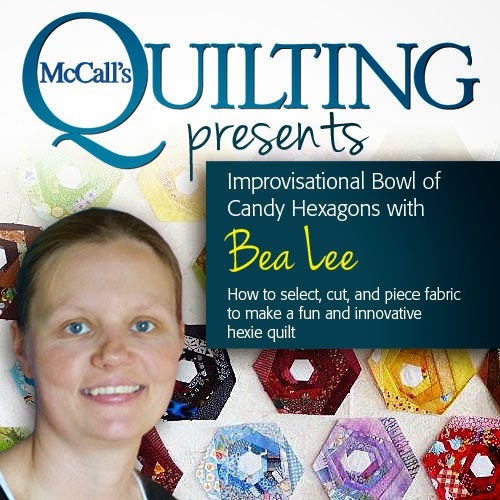 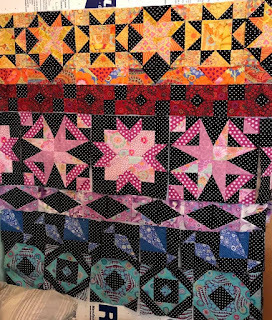 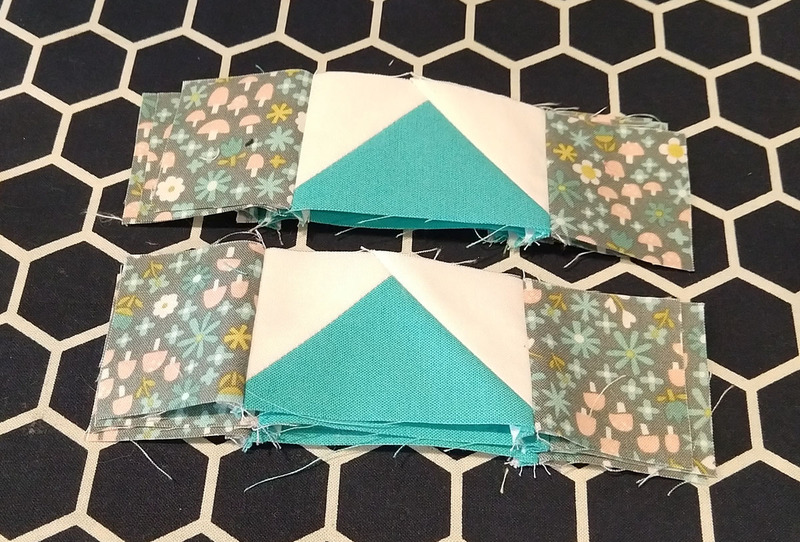 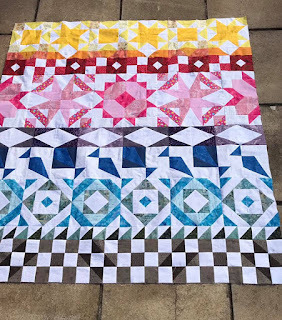 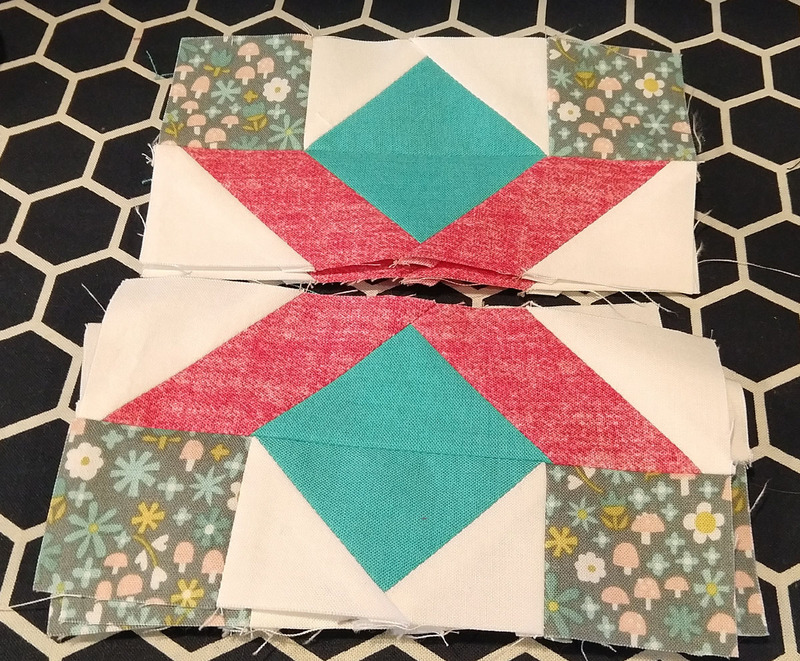 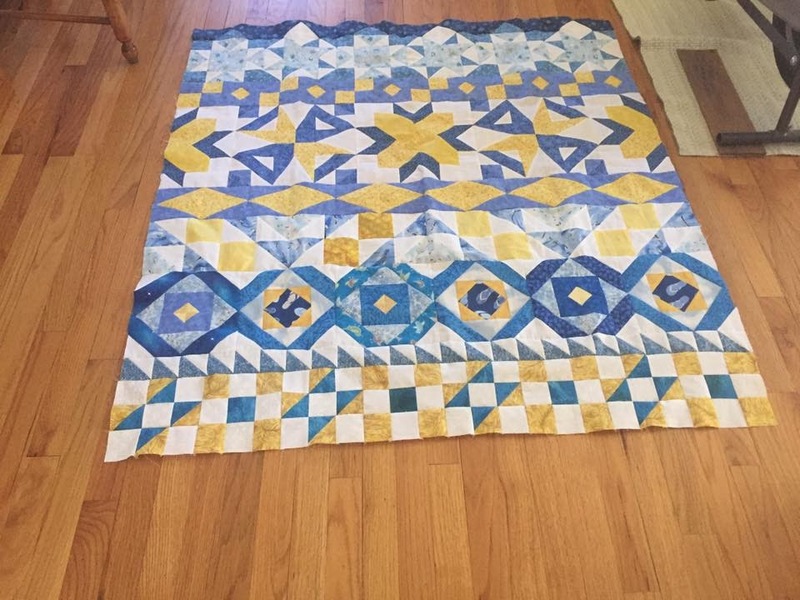 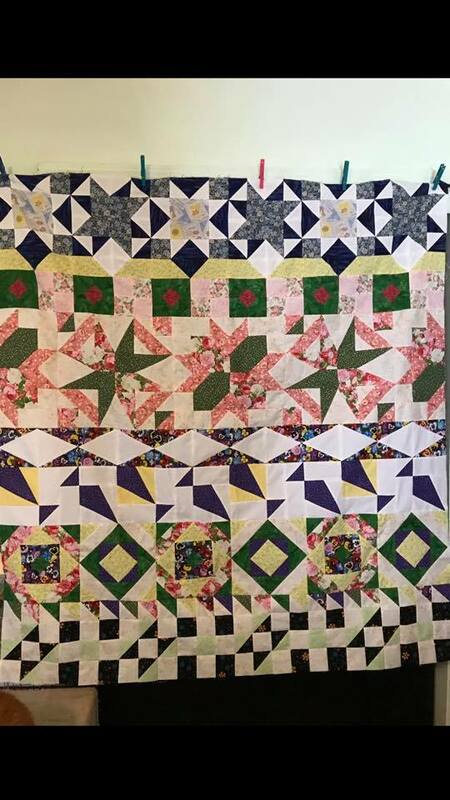 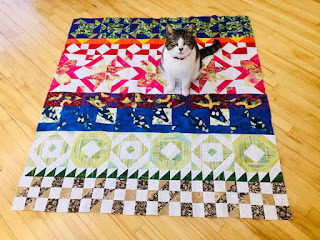 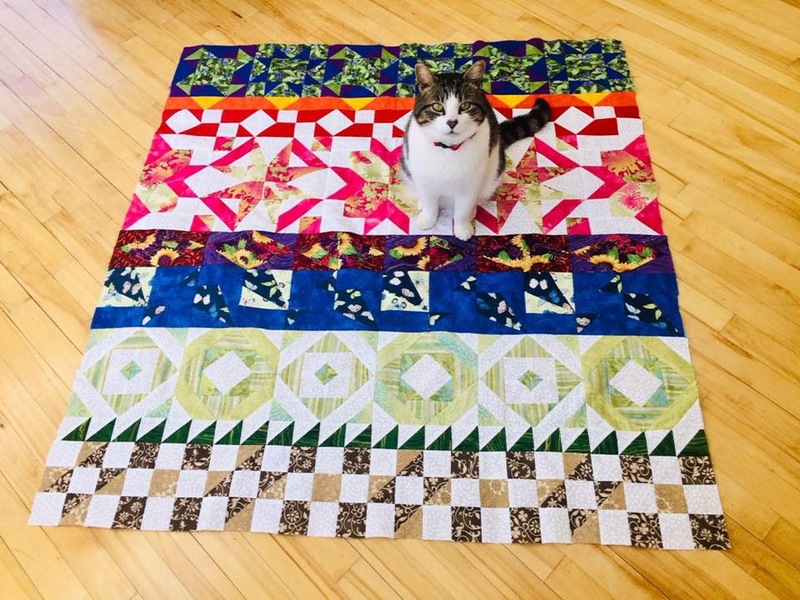 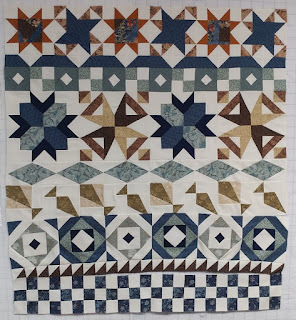 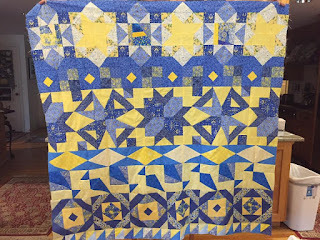 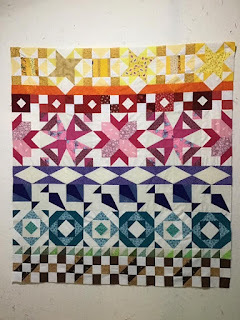 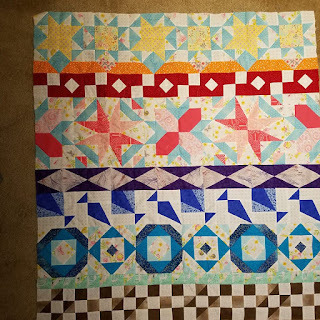 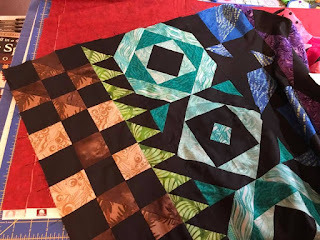 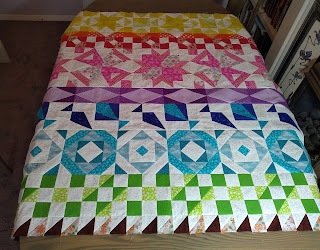 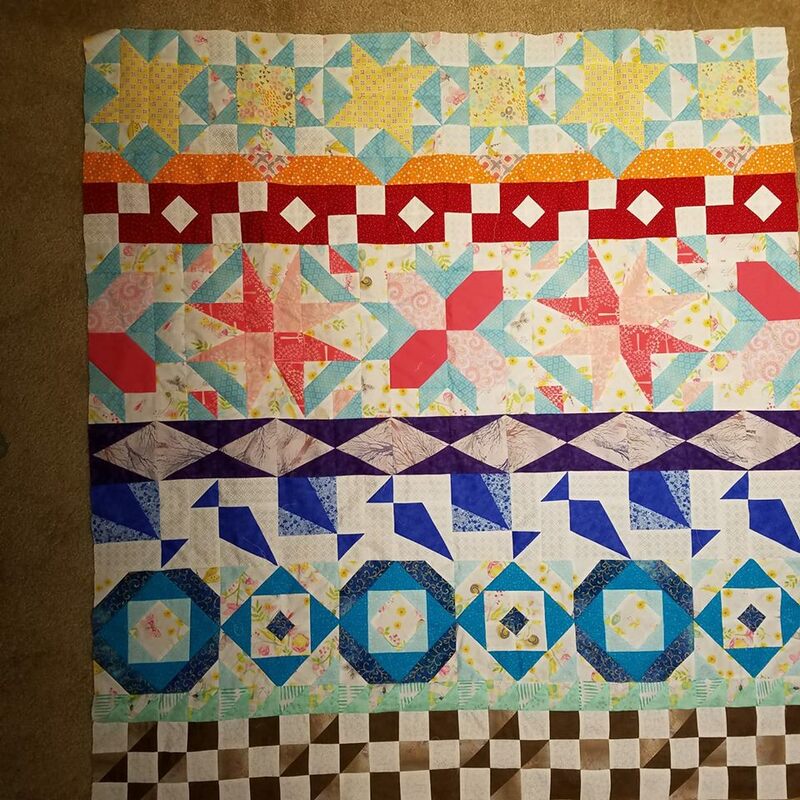 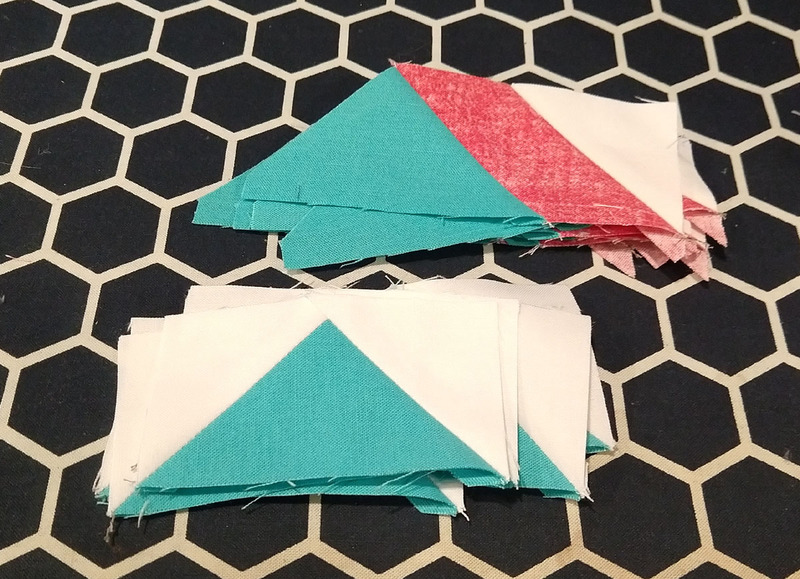 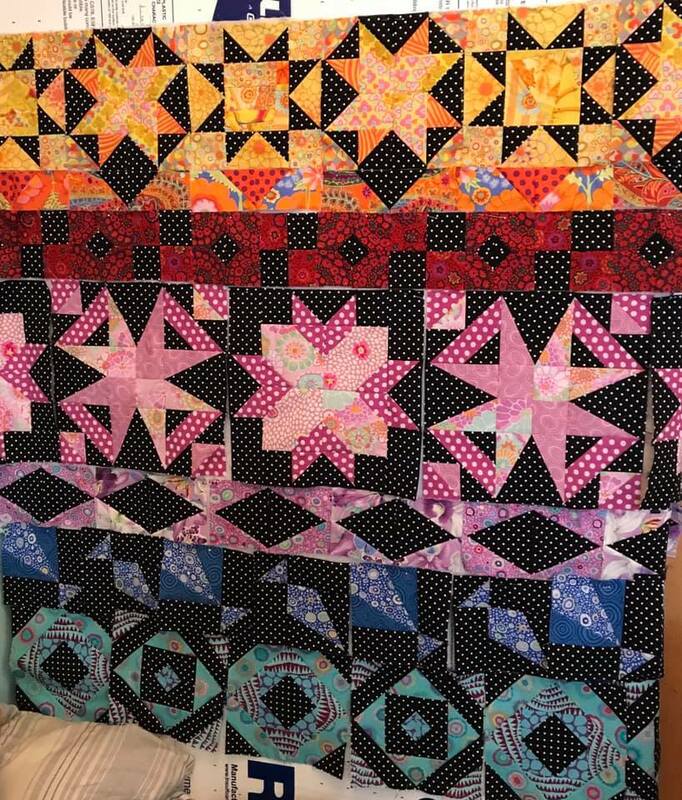 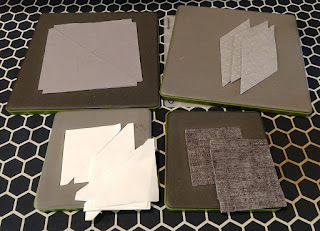 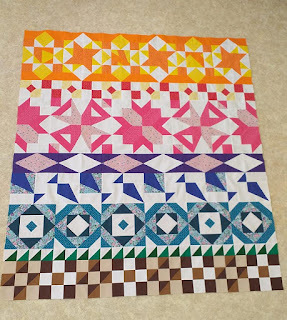 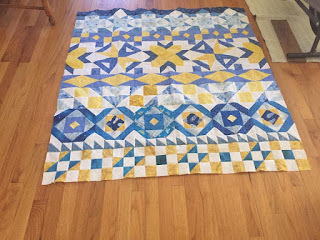 JUST on one side, if you're using directional fabrics pay attention to the placement, it's probably better to lay out the block pieces and plan it that way. 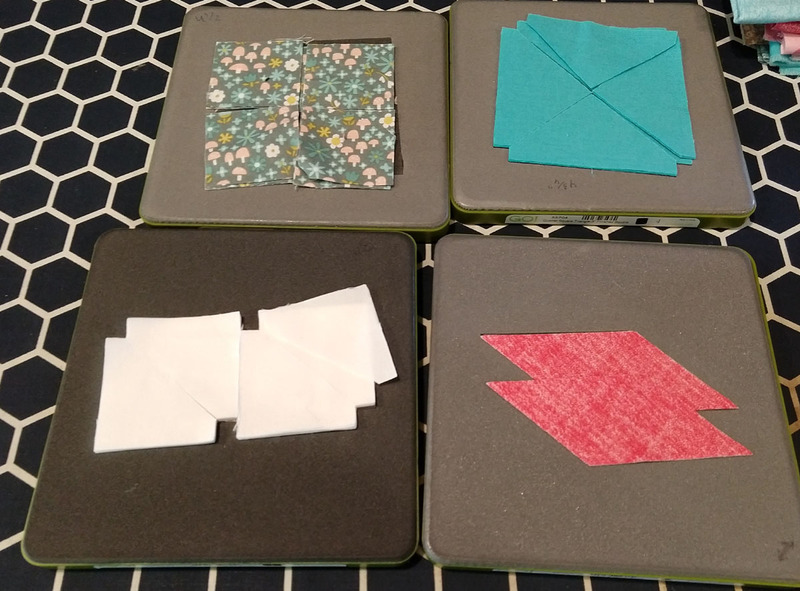 then finish the flying geese and on add another #4 triangle to the parallelograms, just on 6 of them, it doesn't matter which side you start with. 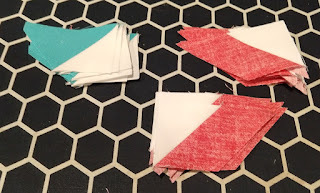 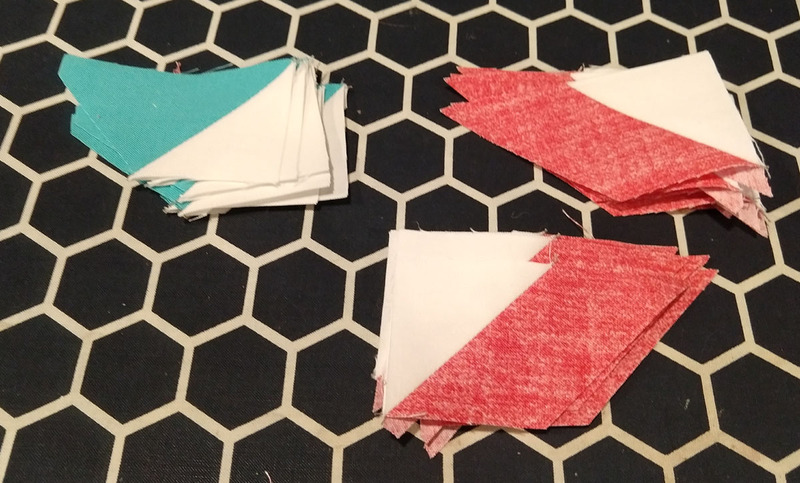 Then add small #2 squares to the flying geese, if you're using directional fabrics like I did here, then do half the geese upside down. 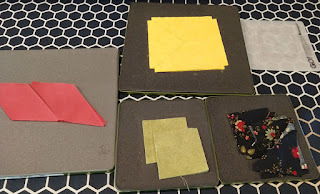 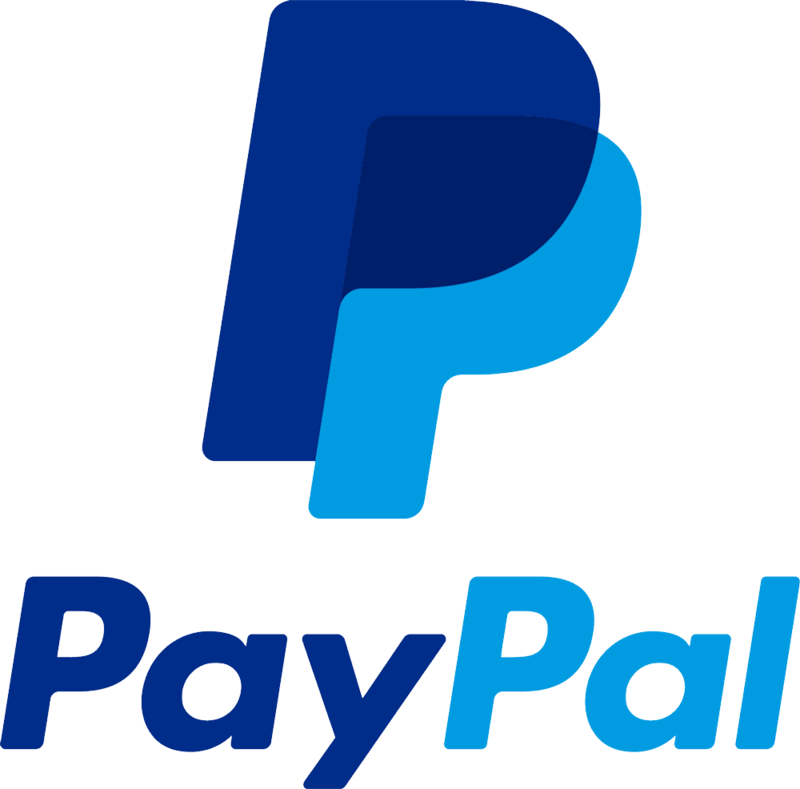 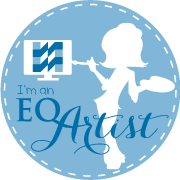 Also add the other parallelograms to the opposite side of what you already made. 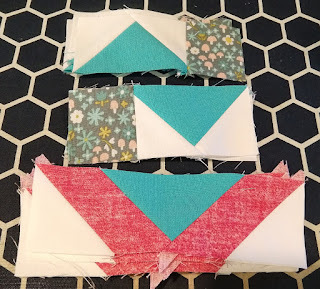 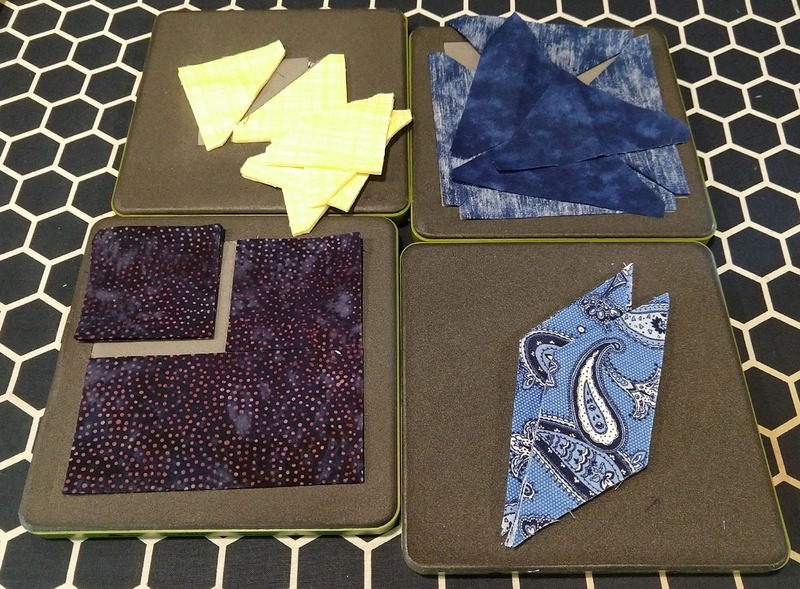 Now sew the geese sections to the top of the parallelograms so the #4 triangles touch each other. 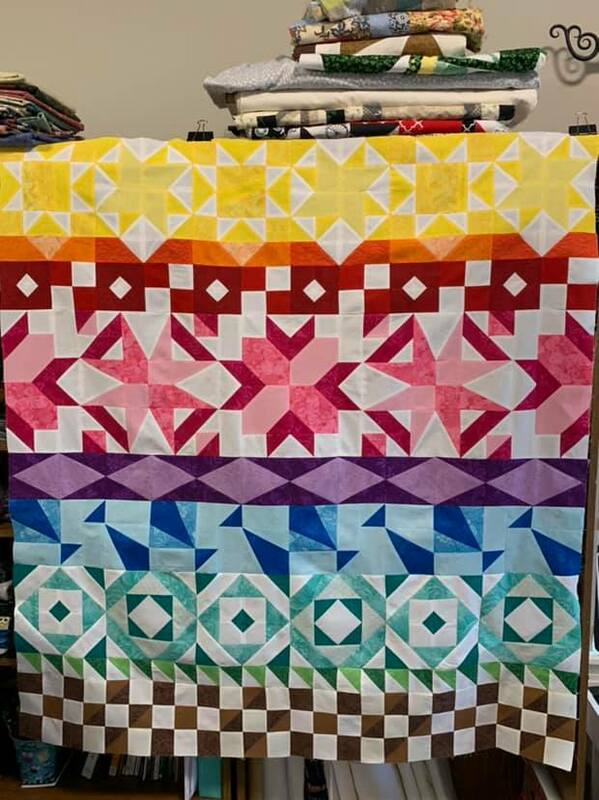 they are all looking so great!